Fantastic Furniture operates over 125 stores across Australia and is the countries largest sofa manufacturer. Fantastc Furniture also known as the Package Deal Kings is famous for its offering of complete home furniture kits to suit any budget. We are the Package Deal Kings! Whether you’re moving out for the first time, moving into a new home or simply need to update your furniture, we have something for you. We’ve put together our most popular furniture ranges to offer you beautifully coordinated furniture solutions to save you time and money. Our furniture packages come in all shapes and sizes and represent unbeatable value for money. You’re sure to find a bedroom, living, dining or complete homestarter package that suits your style and budget. &COPY; Copyright JDRF Australia 2019 . All Rights Reserved. Caltex StarCash Digital Gift Cards fuel vouchers can be used to buy fuel or for convenience goods at over 1,900 locations across Australia. Buy Express Shopping eVouchers from a retailer partners. Get your [currency_name] immediately. And get your eVoucher now ready for you to use. 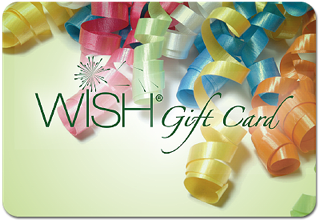 For Woolworths supermarkets, Big W, Dan Murphys, Cellarmaster and BWS - you will receive a Wish eVoucher that can be used not only at the retailer of your choice. but also at any retailer in the Woolworths group. Flexi is for those who want to buy their card now and shop later. We'll send you an eGift Card now. When you want to use some or all of it, choose from a wide range of the biggest retailers. We'll then send you a voucher to use at that retailer.